I learned something quite disturbing last night, fellow beauty chicks. 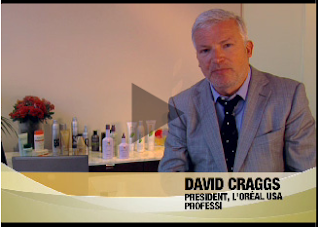 At an event sponsored by L’Oreal Professionnel, the President of L’Oreal USA, David Craggs, told us all about diversion. 1) The markup on these products is extreme -- usually anywhere from 10 to 20 percent. 2) These products are counterfeit, with barcodes scratched off so they can’t be traced back to the supplier. 3) Most disturbingly, they could be contaminated. Some products have been found to contain dishwashing detergent or harmful bacteria. And do you really want these products running down your face and body every day? So how can you refrain from falling prey to diverted products? It’s simple. From now on, make sure you buy from an authorized retailer. The L’Oreal Professionnel website has a list of authorized retailers like Trade Secret, Ulta and Regis, which can be found across the country, and smaller salons in your area with access to the products as well. Kerastase even has an e-commerce website, so you can purchase right from your own home. To do my part, I will continue to urge you to only buy these products from authorized retailers. Going forward, you will see me directing you to L’Oreal Professionnel’s brand websites for store info. Let’s put a stop to diversion. They're not all counterfeit.. I think the majority of them are actually real products that the L'Oreal distributors sold to salons who may have in turn sold them to mass market chains for profit. However, odds are they are really old and there's def the possibility that they are counterfeit. To the safe, def buy from authorized retailers only. I had no idea either but never again!! OPI has the same problem w/their nail polish. Walmart would no more sell a contaminated, counterfeited, years old and or stolen beauty product than they would a food product. The potential fallout from their customer base and the ensuing bad publicity ensures that any beauty product you buy (that you can get at the salon) is the same thing. The Beauty Brains had a post on this a while ago where they explained it in more detail and answered comments concerning salon vs. big box store products. Really now, do you believe that Walmart is willing to risk selling a product that can seriously injure someone? They'd have to pay millions in restitution and to clean their image back up (the latter may even take years.) And even if it is counterfeit one would naturally think that L'Oreal (a mega huge company) would be pretty damn ticked off that a major chain store is selling contaminated/old/counterfeit product under their name (not only harming Walmarts reputation, but L'Oreals as well.) I don't doubt that counterfeit, damaged and stolen goods are sold all over the world, I just don't think it's as common an occurrence as people would like to believe. There is way too much money at risk for both the seller and the brand for them to allow things like that to happen. It all comes down to one thing: money. Companies like L'Oreal like it and if they have an opportunity to make more of it they will.